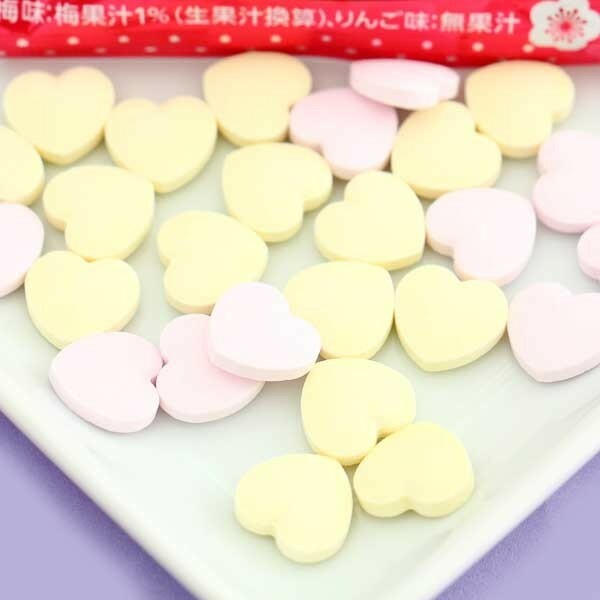 These pink and yellow heart-shaped candies are the perfect sweet present to give to your friend! These candies taste like the famous Japanese citrus-flavored soda drink, Ramune, infused with tasty plum and apple flavors. 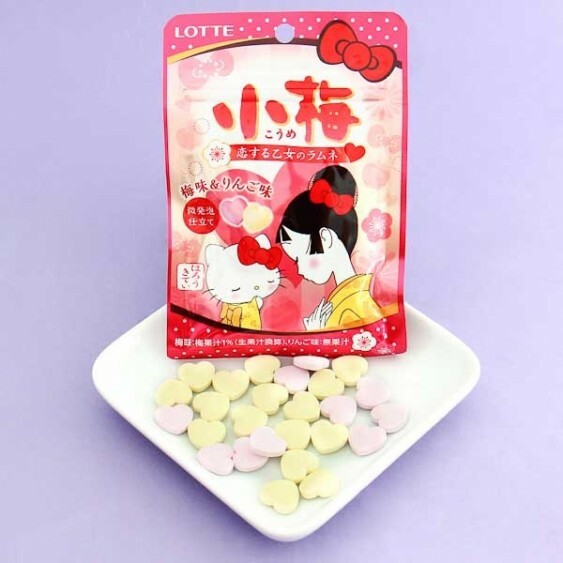 Not only are these candies delicious but they come in a super cute sakura-themed packaging, which has a picture of Hello Kitty with a friend wearing traditional costumes. If you like Ramune candies, this is a must-try!